In honour of Domestic Abuse Awareness Month in October, one woman tells her story of verbal and physical abuse as a way to encourage others: you are not alone … In 2008, Emily was at a friend’s barbeque when she was introduced to a man. The two started talking and exchanged phone numbers that day. He seemed like a “really cool” and “down to earth” person and a friendship developed gradually over the next four years, with them even working together at one point. Then one day he asked her on a date. “It was like a whirlwind,” she said, “because although we had been friends for a long while as soon as we crossed that line into a relationship he became very full on and wanted to do everything for me and buy me everything. Emily gradually got used to the attention and began to open up to him more, but without warning things changed. He did less and made less of an effort to see her – then once Emily became pregnant he became more distant and grew verbally and physically abusive. Emily, not her real name, shared her story as part of October’s Domestic Abuse Awareness Month. Her advice to anyone who finds themselves in a relationship that is physically or emotionally abusive is to take a stand and leave. Emily admits the relationship started turning sour gradually after she told him she was expecting his child. While they had talked about starting a family and made the decision to stop using birth control, once she told him she was finally pregnant his response was disappointment and anger. “For the first few months of the pregnancy he wouldn’t spend the time with me and stopped wanting to go out with me,” she said. “He would stay out late and come over at 1 a.m. to jump into bed. He was less attentive and I was really scared that I had made the wrong choice in taking it further. During the birth of their child, Emily said she had to beg her partner to take her to the hospital. He was reluctant to stay, he complained about how long the delivery was taking and was verbally abusive to her. The experience was so traumatic she eventually couldn’t push anymore and had to have an emergency C-section. “Shortly after, he saw the baby and left,” she said. From there the relationship became worse. He grew more aggressive; she felt extremely isolated and alone. One day, after she found drugs in his possession and confronted him about it, he got violent and lashed out hitting her many times in the face. “At first I didn’t want to press charges because I was scared and thought it would make matters much worse,” Emily said. “A friend had told me I was trying to protect him, a man who over the last couple of years was slowly demoralizing me, putting me down and creating a lot of self-doubt about myself and my self-worth. Once Emily decided to press charges, she went to the Centre Against Abuse to get more information on how to obtain a protection order. They were helpful and she admits she’s extremely thankful for the support and guidance they provided. “I had no idea when I pressed charges and put matters dealing with my child through the Family Court, just how tough a situation I was up against,” she explained. “I thought the hardest part would be making the statement, pressing charges and starting the court process, but that was only the beginning. Emily enlisted the help of Tina Laws, the founder of abuse support agency UnderKonstruction, after the Centre Against Abuse suggested Mrs. Laws as another resource. In the beginning, Mrs. Laws listened to see if she could help; then she started walking Emily through every phase of the court process. “Tina was a listening ear when I needed it and would check in with me from time to time,” Emily said. “She knew I needed legal help and managed to get a lawyer who offered her services probono to help me. Tina arranged the meetings and stayed at the office while I met with the lawyer. Thanks to that support, Emily was able to rebuild her life. She encourages other women going through similar abuse to get the right support and not try to go the process alone. 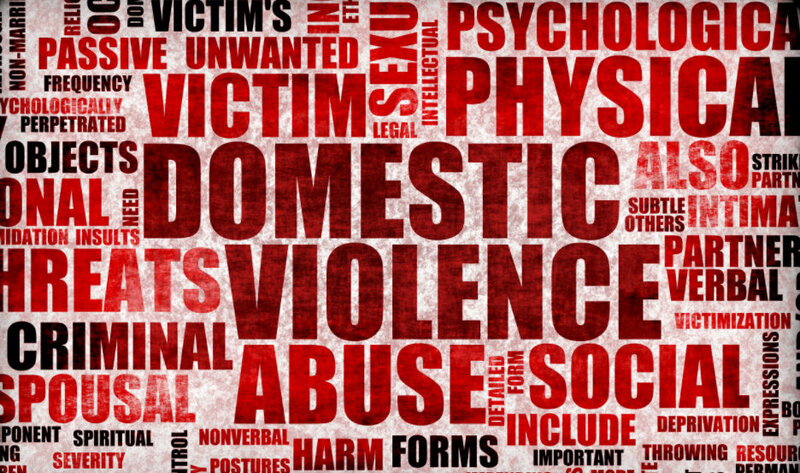 For more information on abuse support services provided by UnderKonstruction, visit www.underkonstruction.org or call 533-8857. I am so relieved this lady found the held she needed. I tried helping a lady with a similar story. My question is, why do some women continue to date abusive men? Amen!! I so glad Emily received the help she needed!! Good for you lady, hopefully the man in question gets help. I hope you go on to have a normal relationship in the future. Why is there never a follow up with what the abusers have to say for themselves? There is never an excuse for abuse of any sort but, maybe, just maybe, there’s one or two of the abusers that can give an account for their callous behaviour and what brings on this behaviour. After all, this is Domestic Abuse Awareness. We keep hear the same stories from different women about the onslaught of these events. You never hear where the abusers can go for help before it gets to the point of no return other than jail.